They’re trendy. They’re versatile. But, most importantly, they’re foldable! 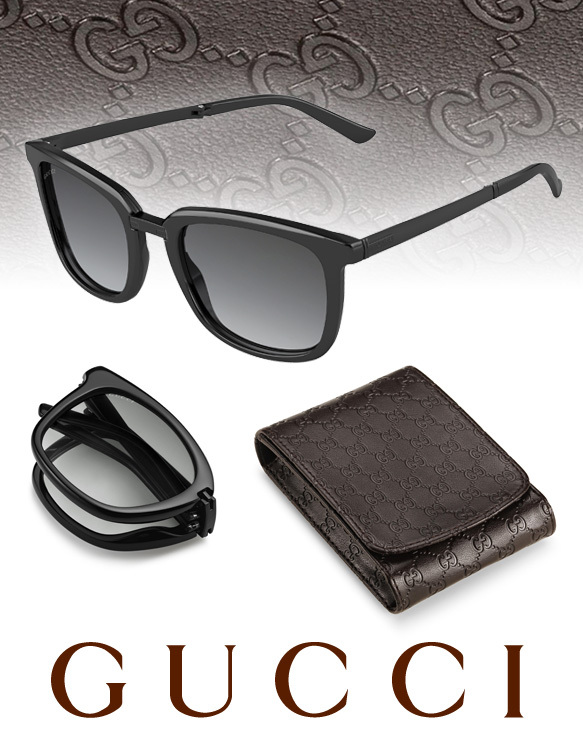 They’re the oh-so-fabulous Gucci Viaggio sunnies that were specially designed with the modern traveler in mind. Boasting a mix of jet black acetate and metal, a sleek square silhouette and clean simple lines, these shades offer up the perfect balance of formal sophistication and casual attitude. So you’re sure to feel stylish and comfortable on your jet-setting adventures. And when you’re done wearing ‘em, just slip them off, fold them up and tuck them into their mini convenient case—it can’t get much easier than that! Get even more deets here!